You’ll also find in the programme a number of side-events organised by Watershare, like the Watershare meeting for all members and the meeting titled ‘Watershare meets Japanese Water Sector’, which we’re organising jointly with JWRC. The Watershare meeting on Tuesday morning, 18 September (8.30 – 10.15), is for all member organisations present in Tokyo. So, if you aren’t going to Tokyo yourself, but a colleague of yours is, then he or she is of course invited to the Watershare network meeting. Please be sure to register in advance by sending an email to info@watershare.eu. It looks as though we will be getting together in Tokyo with members from about twelve countries. At the meeting you’ll learn how to make use of the Watershare network, what Watershare’s current activities involve, and we’ll make plans to tackle local challenges and expertise needs. There’s no need to prepare a presentation: we’ll be in touch with you shortly with more details about the meeting’s contents. 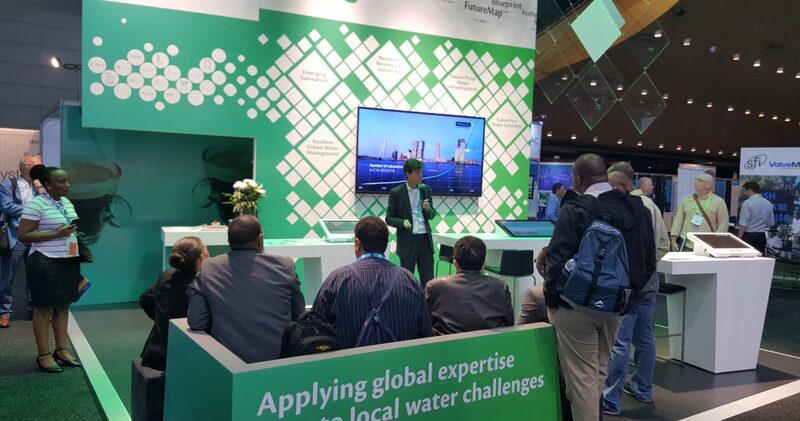 Most importantly, keep Wednesday evening, 19 September (18.00 – 20.00), free for ‘Watershare meets Japanese Water Sector’, a meeting for Watershare members and their constituencies, organised by JWRC, the Japanese Watershare partner, and KWR. During this evening, JWRC will inform us on water issues and challenges in their country, including the preparation for the Olympic Games in 2020. We will also keep you updated on this meeting.